Cherry blossoms that were near their peak bloom were destroyed by this week's below-freezing weather, but a significant portion of the cherry trees along the Tidal Basin are still expected to provide an umbrella of pink and white this spring. Get everything you need to know about visiting the cherry blossoms via WTOP’s Cherry Blossoms page. 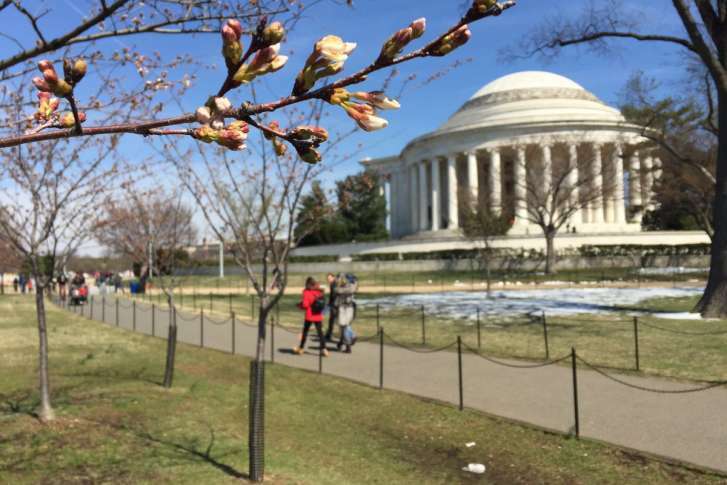 WASHINGTON — Cherry blossoms that were near their peak bloom were destroyed by this week’s below-freezing weather, but a significant portion of the cherry trees along the Tidal Basin are still expected to provide an umbrella of pink and white this spring. See cherry blossom photos from the 2017 blossom season. The National Park Service said Friday that peak bloom for the Yoshino cherry trees is now expected next weekend, about a week later than initially forecast. The Kwanzan cherry trees will likely reach peak bloom about two weeks later. About 70 percent of the thousands of trees that dot the Tidal Basin are the Yoshino variety. About half of those Yoshino trees had reached the fifth stage of the budding cycle, known as the puffy white stage. The blossoms on those trees that had reached that late stage were destroyed, Litterst said. The remaining Yoshino trees had only progressed to stages 3 and 4, and horticulturists with the park service believe those blooms were not significantly damaged by the extended cold snap. Those trees should begin to blossom during the coming week, reaching peak bloom over the weekend, Litterst said. “Yes, there’s going to be spring. 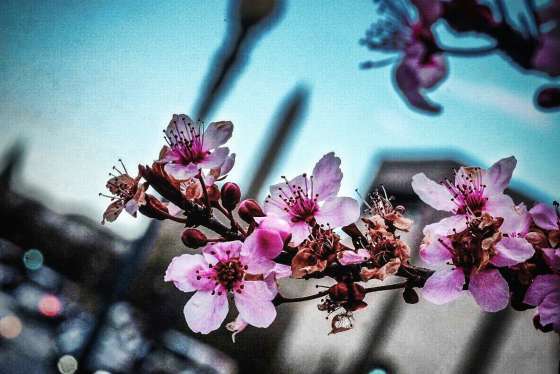 So glad, yes there’s going to be blossoms and actually two waves of blossoms,” said Diana Mayhew, president of the National Cherry Blossom Festival, which kicks off Saturday. Mayhew said the festival has had inquiries from around the world regarding the fate of the cherry blossoms. She said projected visitors for the four-week festival is on target and interest in the festival is up this year based on projected sales of grand stand seats for the parade and visitors to the festival’s website.